Agents of Change: Photography and The Politics of Space is formed of fourteen free exhibitions and a packed month-long schedule of workshops, tours and talks. 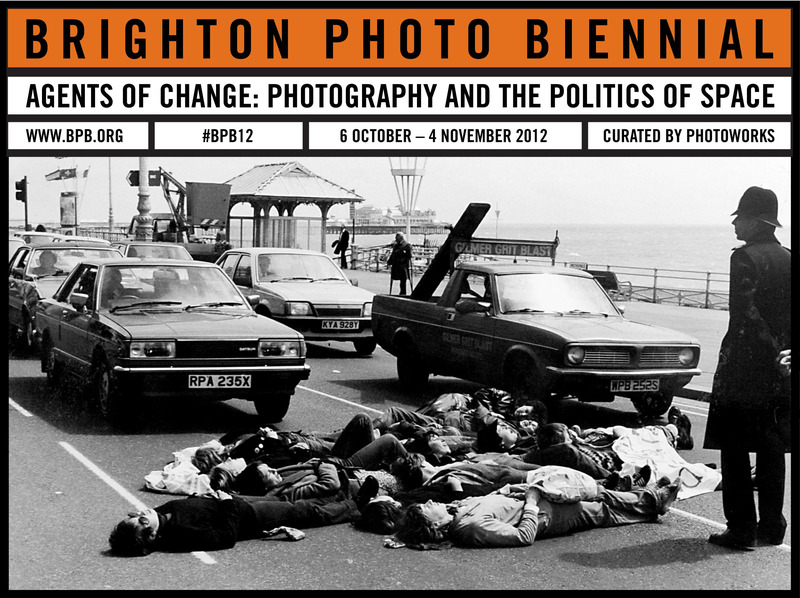 Agents of Changes: Photography and The Politics of Space. Brighton Photo Biennial 2012 reflects on how public space is constructed, controlled and contested, how photography is implicated in these processes and the tensions and possibilities created by this dialogue. Looking to recent efforts to politically re-imagine urban space through social and civic uses, BPB12 is concerned with photography as both a tool and a process – a means of understanding the world and an active force in shaping it. BPB12 presents newly commissioned work, rediscovered archives and UK premieres with exhibitions shown in established galleries, new art spaces and as interventions in the streets and squares of the city and billboards, posters and free newspapers. Curated by Photoworks Head of Programme, Celia Davies and Programme Curator, Ben Burbridge, BPB12 explores how space is constructed, controlled and contested, how photography is implicated in these processes, and the tensions and possibilities this dialogue involves. This year’s Biennial provides a critical space to think about relationships between the political occupation of physical sites and the production and dissemination of images. Responding to recent efforts to politically re-imagine urban space through social and civic uses, BPB12 presents photography and imagery generated by professional photographers and the public at large; grassroots activism and media spectacle; established names and recent finds; contemporary work and older photographic practices. At the core of BPB12 is an examination of photography as both a tool and a process: a means of understanding the world, and an active force in shaping it.